You’ve read of so many health reasons to sip on that cup of java, and there’s also more reason to use it to enhance your looks. Coffee also has a slew of uses when it comes to beauty. Here are ways to use it to your benefit. With its grainy texture, coffee grounds are the perfect ingredient to exfoliate the skin. Apply the coarse scrub in gentle circular motions on the skin to slough off the dead layer. The caffeic acid present in it is also said to increase collagen production. Face it, we all get eye stress, blame it on tight work schedules or poor sleep. 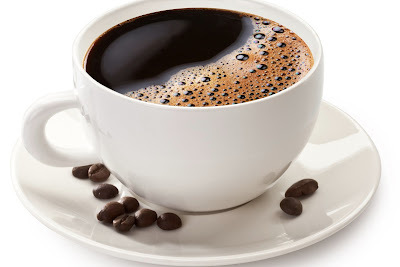 To eliminate dark circles, use coffee to get rid of puffy eyes and dark circles. Simply keep aside the coffee grounds you use for your morning mug. Let them cool and apply them under the eyes and eyelid area. Rinse off with cool water. Need a quick hair fix before a party? A simple solution is to add about two teaspoons of ground coffee into your conditioner. Allow it to settle on the hair for five minutes. Rinse off. You might diet and workout at the gym, but there’s always a chance of telltale cellulite appearing. To help lessen this, massage a coffee scrub on the skin using coffee grinds. This helps to boost blood flow and tighten skin pores. The caffeine in it is said to affect blood vessels, thereby reducing puffiness and inflammation. Not only can you use coffee grinds as a foot scrub, but coffee as a soak works well to hydrate the skin. It has antioxidants that pep up tired skin. Add vanilla beans for aroma and a little olive oil to soften the skin. Want brighter skin? Try this. Freeze coffee in ice cubes and store them in the freezer. When you need to use them, simply use the cubes on your face. It reduces puffiness and aids blood circulation, leaving your skin looking fresh.